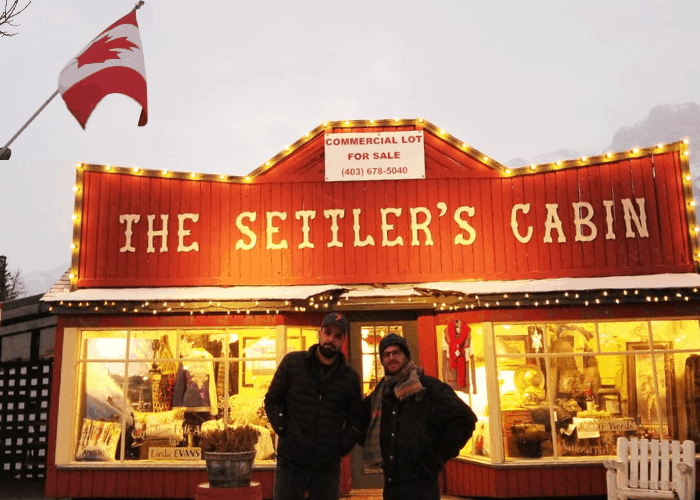 Home » Stories » What are Israeli Settlers Doing in Freezing Canada? Six Israeli “settlers” stepped off the plane in bitter-cold Canada. It was the dead of winter and they could see the snow piled up high, much more snow than they had ever seen in Israel. Feeling completely out of their usual element, they were suddenly welcomed with open arms by the Word of Life Community in Edmonton. 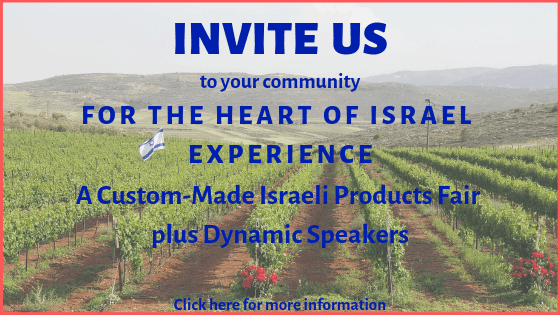 They were invited to organize a special Israeli Products Fair to display the unique talents of the farmers and entrepreneurs of Judea and Samaria and to meet and connect with the community. Pioneers in the Holy Land are bringing the ancient prophecies to fruition. 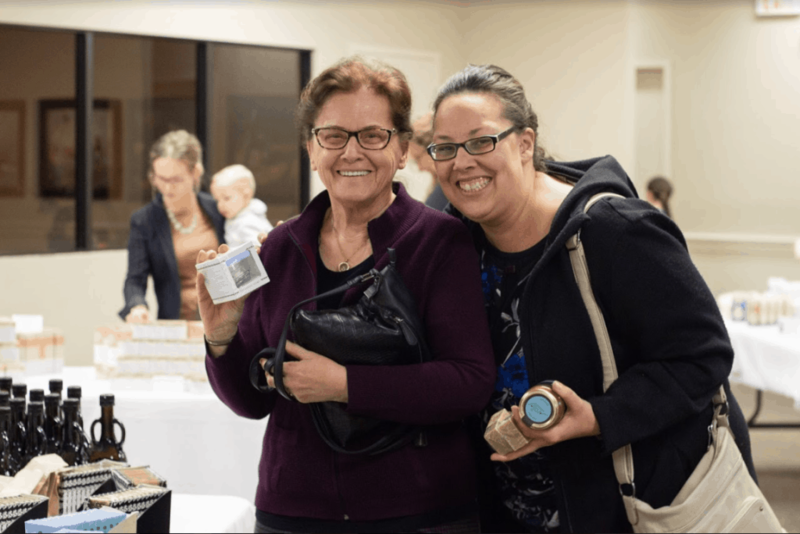 Two women from Edmonton, happy with their new Israeli products from the Fair. The Heart of Israel is green and blooming and it is all under the hard working hands of the Jewish Israeli nation. 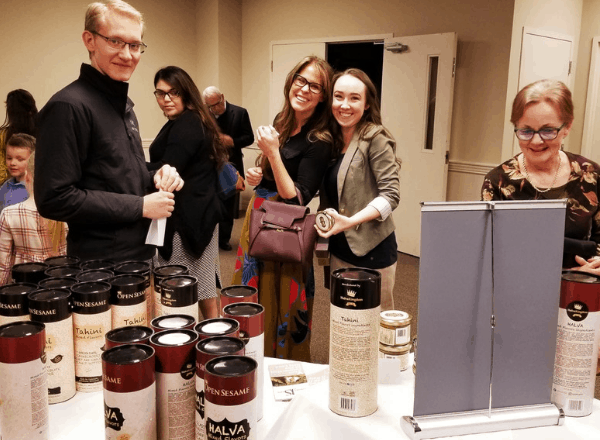 Our friends from Edmonton enjoying the table of Halva from our Israeli Products Fair. 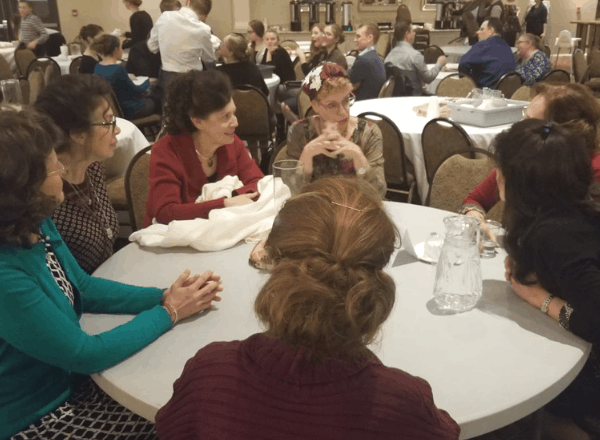 This Canadian community of Christians were sincerely interested in hearing the true reality of Israel today, not only of what the media portrays. 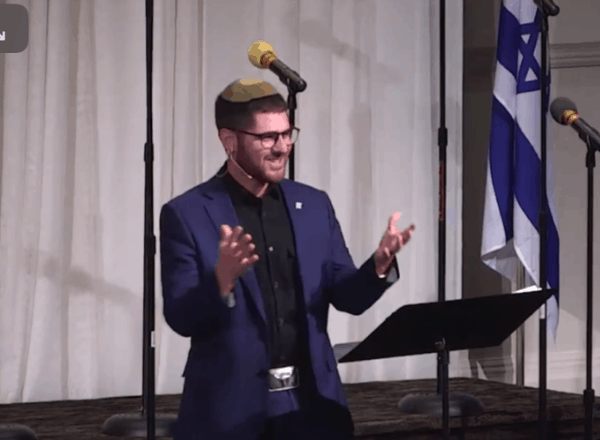 With all the BDS and anti-semitism around the world, on college campuses, in stores and communities, it was shocking and profoundly heart-warming, to be greeted in Canada by people of a different religion, yet a similar mission. People who not only support Israel but love seeing the prophecies come alive as much as we do. 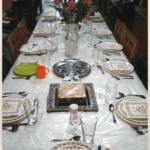 “We were so touched by the unconditional support that the entire community gave us. And it was all based on our mutual belief in G-d and the Bible and that the Holy Land was given to the Jewish people,” explained A.Y. and Rivka Katsof, originally from America, but who now live on the hilltop community of Aish Kodesh, deep in the heart of Israel. A.Y., the Director of The Heart of Israel, speaking on stage. “It was so inspiring to see people living thousands of miles away from our little country and yet, not only are they our allies but they truly share the same vision and the same excitement in being able to see the prophecies come true and take part in it, too. They are the very best partners in this mission of settling and rebuilding the land and supporting its pioneers,” A.Y. recalled. “Blessed be every one that blesseth thee.” (Genesis 27:29). They brought electrical power to the hilltops of Samaria when they heard that a mother and her children were suddenly left with no power. 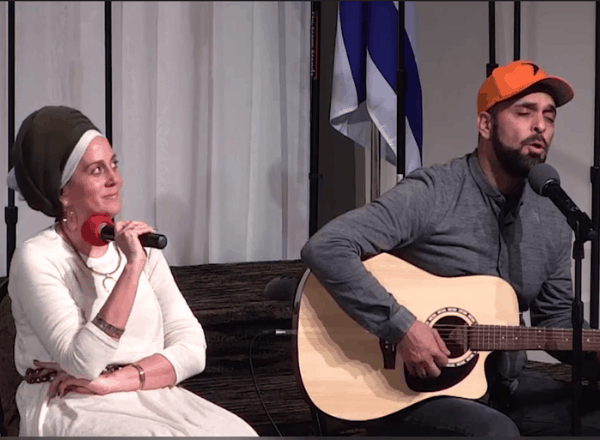 Ezri and Ora Tubi, on stage sharing their stories from the Holy Land. The second couple on this trip, Ezri and Ora Tubi, an Israeli couple from Yitzhar, a beautiful community in Samaria, were so surprised by the reactions of the people they met in this Canadian community. “My perspective completely changed! I grew up in Israel thinking that all the other nations hated us, but here we were standing among people that loved us and supported us. 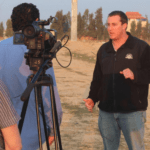 They really opened my eyes,” claimed Ezri, the founder of Boomerang, an organization that advocates for Israel through Social Media. For Ora, this was her first long trip overseas and she insisted that it was one of the most special and unique trips of her life. “It was so inspiring meeting these amazing people. It was a meeting of the hearts, with no masks- there was a real instant connection, straight to the heart. They opened their homes to us and made us feel like royalty. Racheli captivating the women of the community during the round table discussions. 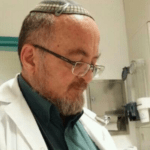 Racheli and Nachi Eyal, the third couple who stepped off the plane from the Middle East into the snowy streets of Canada, were shocked, as well. They loved seeing all of the exquisite Israeli products that we brought for the Fair. On the flight home to the Holy Land, they reflected on how touching it was to be enveloped by the support and warmth of this community. Here were people who not only supported Jews living in Israel, but who were impressed by the pioneers of the Holy Land, actually making the dreams and prophecies come alive before our eyes. 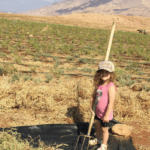 They, too, believe that Israel belongs to the Jews and that the land really does flourish under our hands. 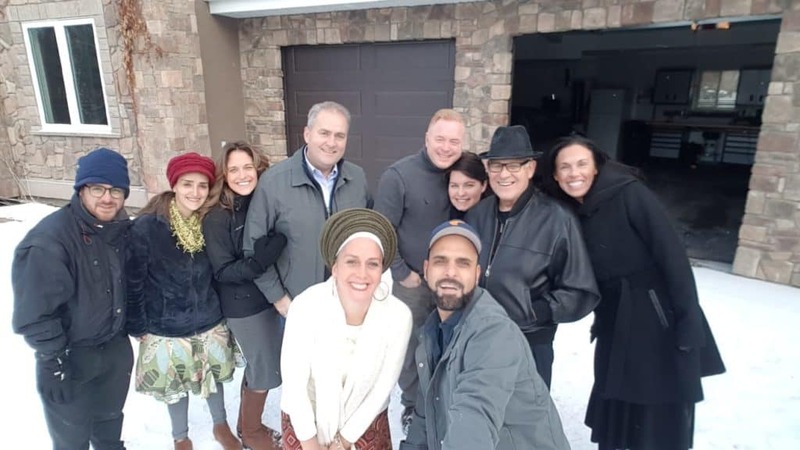 The couples landed in Israel, empowered to continue on this important mission of being a light onto the nations and keeping people around the world connected to the Holy Land. 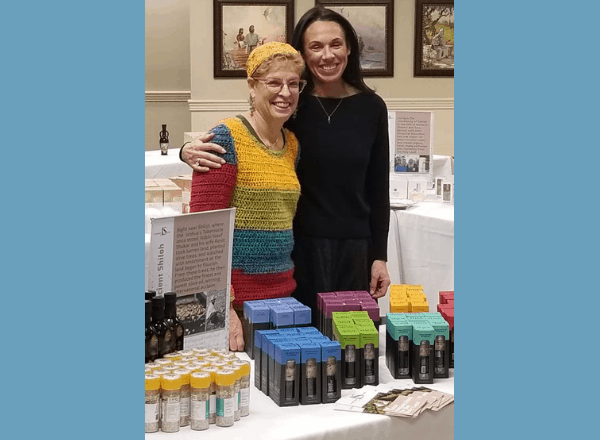 They are planning on going back to North America soon and visit more communities to tell them about the pioneers of the Heart of Israel and share their special products that are all infused with the holiness of the land.